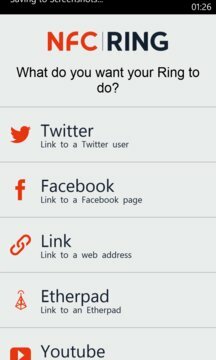 The official NFC Ring App for writing content to the NFC Ring. The NFC Ring is a piece of wearable technology that can be used to unlock doors and share contact information. For example you can write your twitter or Facebook profile to a ring and share it with your friends NFC enable smart-phone without any need for any app. 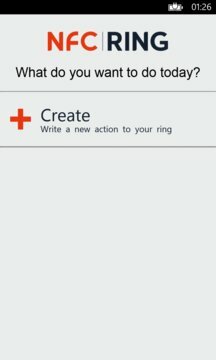 You will need the app to write your information to the ring the first time around and if you want to change the information you share then you can use the app again to change it. The process is really simple and supports common social networks right out of the box.